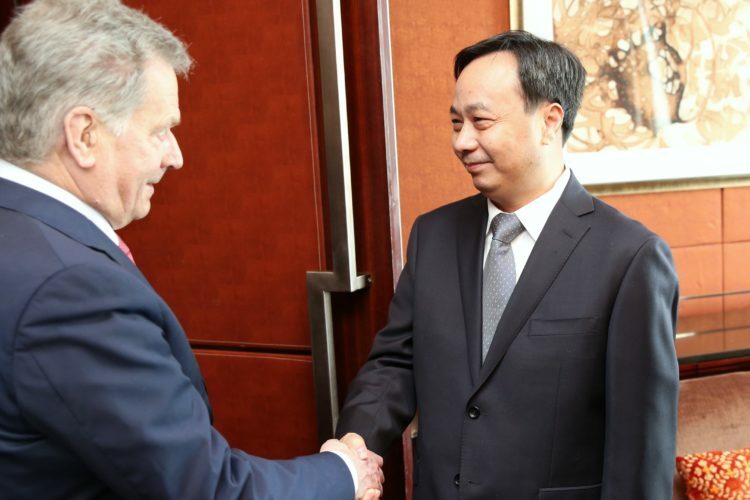 President Niinistö met with the President of China Xi Jinping in Beijing on Monday 14 January. In addition to bilateral relations between Finland and China, the presidents discussed relations between great powers, climate change, human rights, the Arctic region and the European Union. 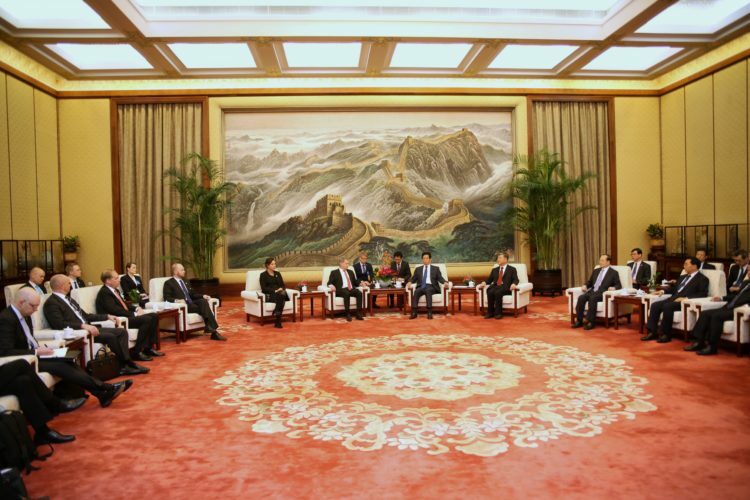 “It seems that China would prefer a strong European Union that also has a large influence over world politics. 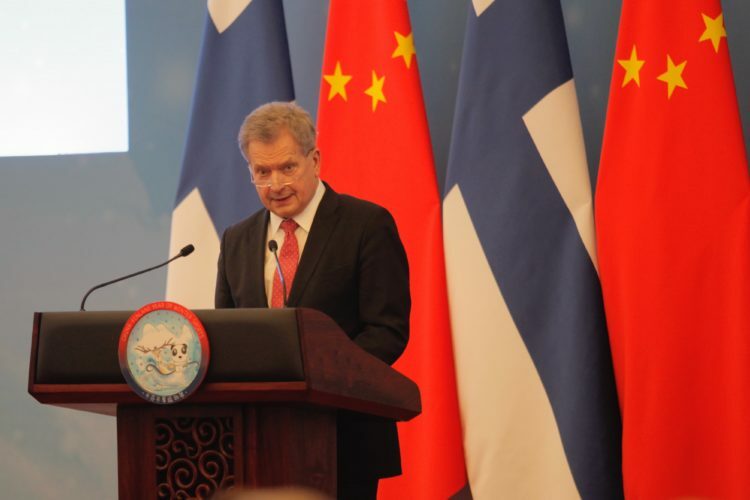 That is what I have also called and wished for,” said President Niinistö to the Finnish media after the meeting. 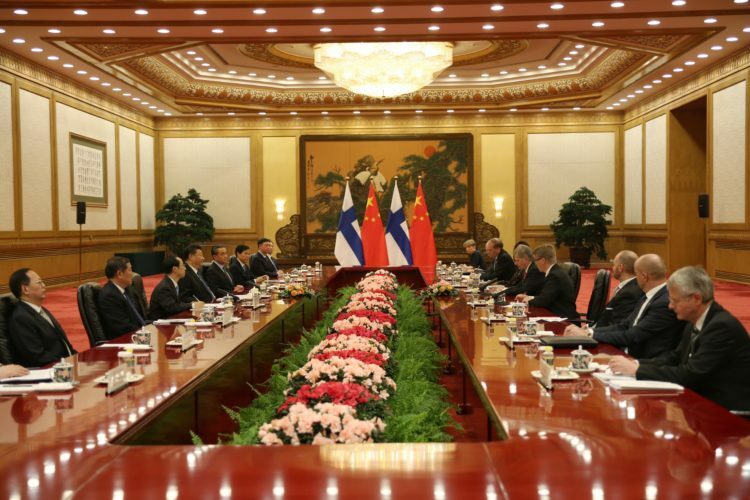 During the visit, a joint action plan for the bilateral partnership between Finland and China was also published. 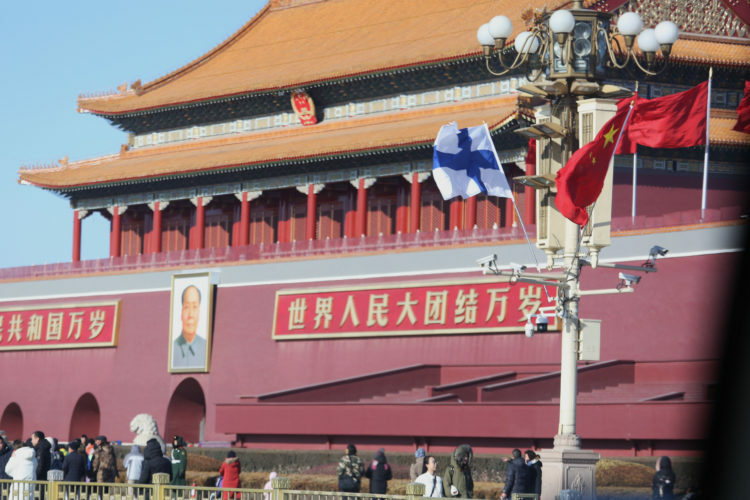 The action plan concretizes the new-type cooperative partnership between Finland and China that was announced on the state visit to Finland by the President of China in April 2017. 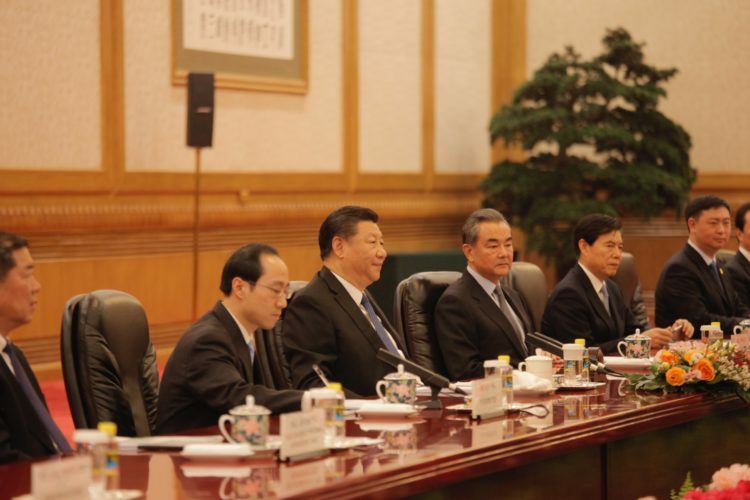 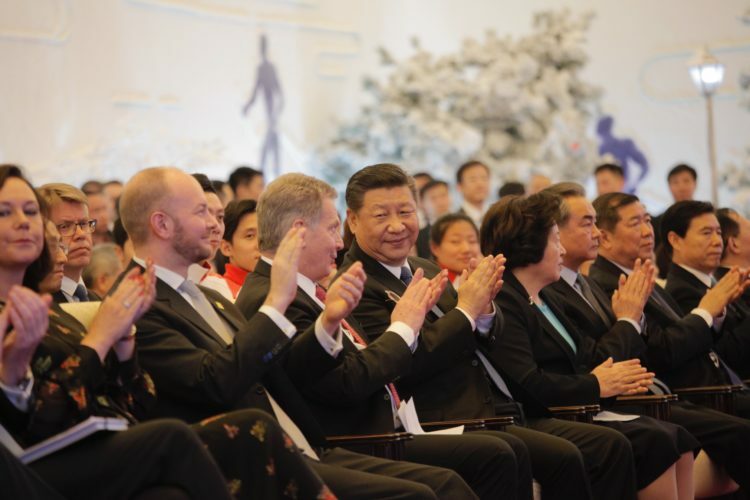 In Beijing, three memorandums of understanding were also signed on culture and cooperation in cultural tourism, winter sports and economic cooperation as well as cooperation in patent and registration matters. President Niinistö and President Xi also attended the launching ceremony of the 2019 China-Finland Year of Winter Sports. 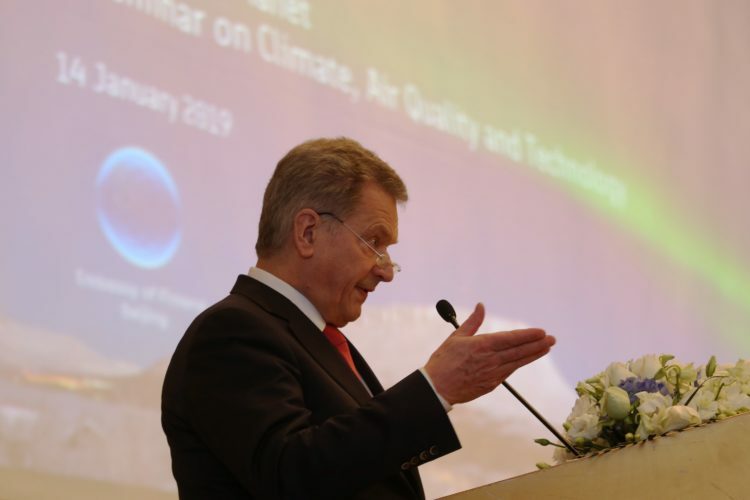 In his speech, President Niinistö commended the beginning of the theme year. 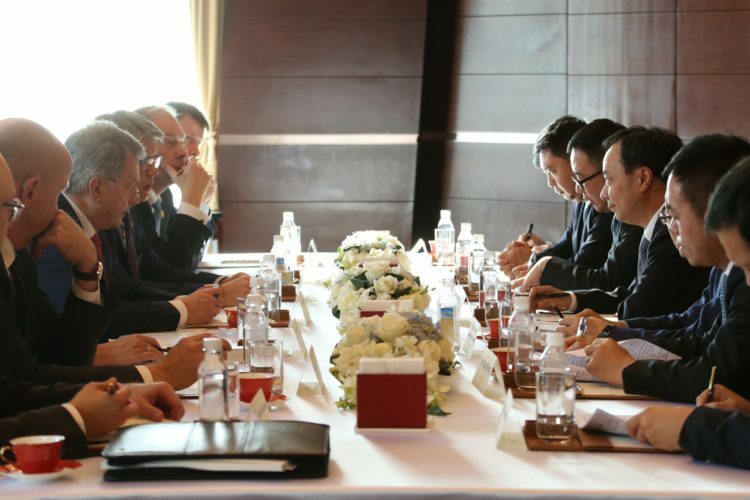 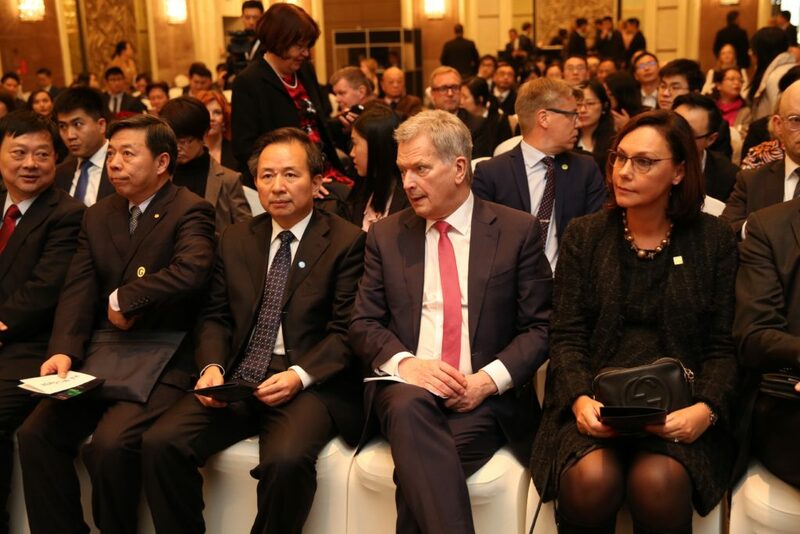 Before the presidents’ discussions, President Niinistö met Chairman Zhao Huan of China Development Bank and attended the Cooling our Planet climate seminar with China’s Minister of Environment Li Ganjie. 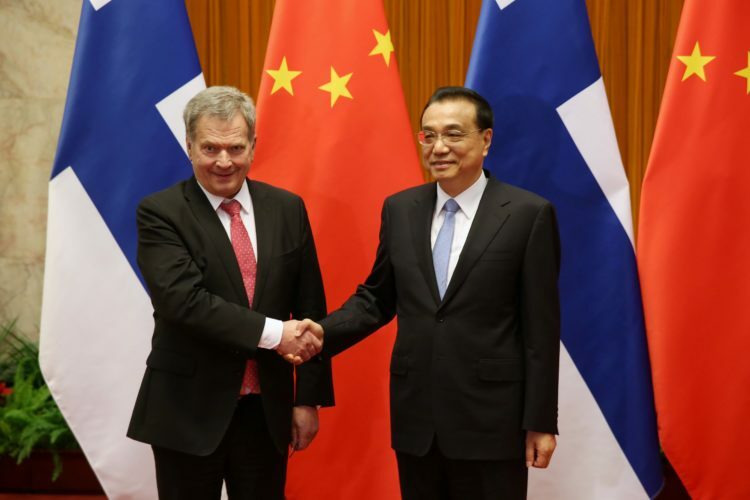 On Tuesday, President Niinistö met Chinese premier Li Keqiang, with whom he mainly discussed the economic relations between China and Finland. 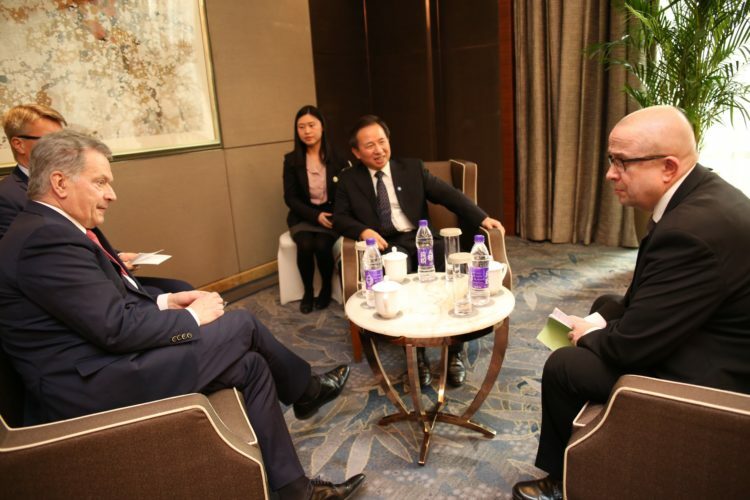 The Chinese were particularly interested in cooperation opportunities in the area of clean energy. 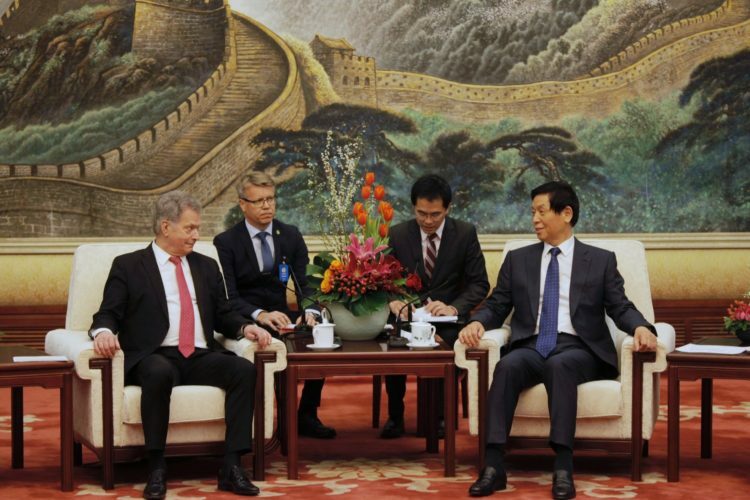 The easier access of Finnish SMEs in the Chinese market was also discussed, as well as increasing tourism both ways. 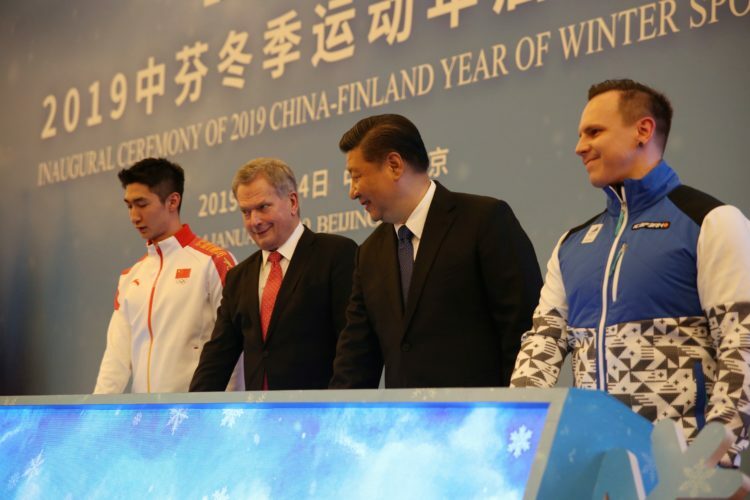 Later in the day President Niinistö also met the Chairman of the National People’s Congress Li Zhanshu and attended the opening ceremony of the 2019 China-Finland Year of Winter Sports. President Niinistö’s delegation in Beijing includes Minister for Foreign Trade and Development Anne-Mari Virolainen and Minister for European Affairs, Culture and Sport Sampo Terho. 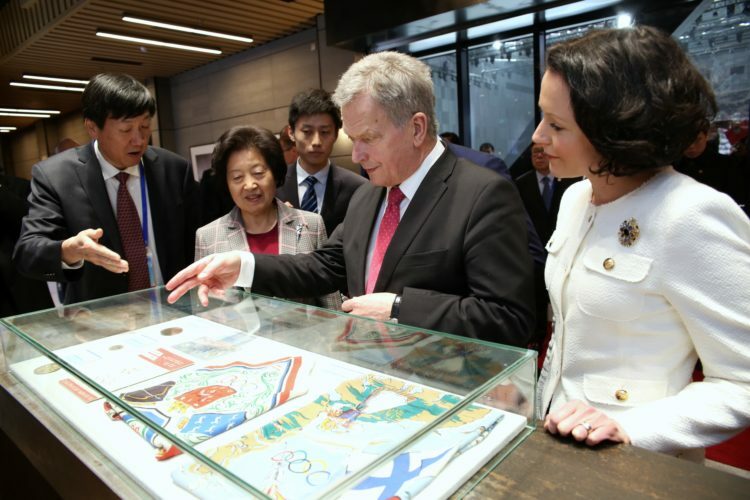 Mayor of Helsinki Jan Vapaavuori, Mayor of Lahti Pekka Timonen and Chairman of the Committee for Innovative Business Cooperation between Finland and China Risto Siilasmaa also participate in the visit. 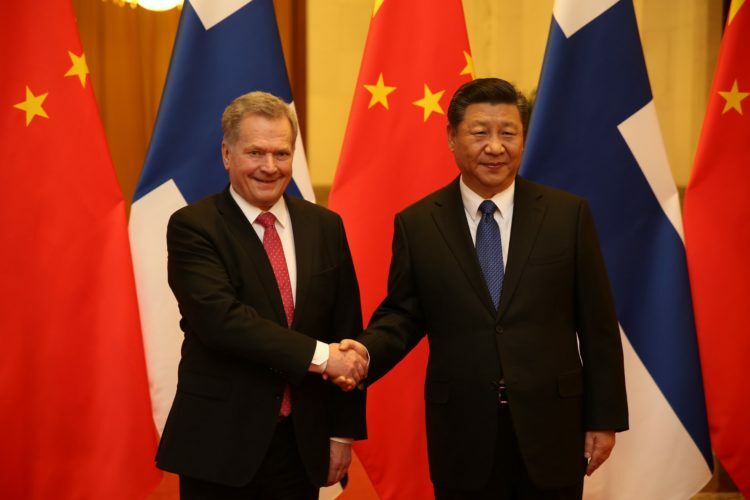 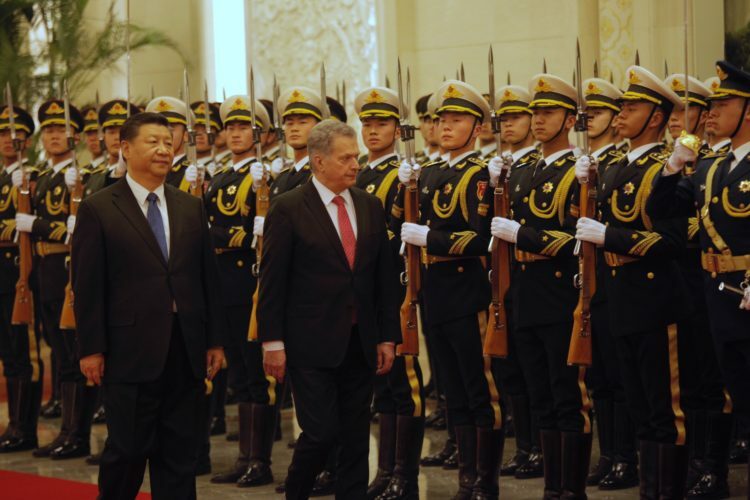 Presidents Niinistö and Xi have previously met on several occasions. 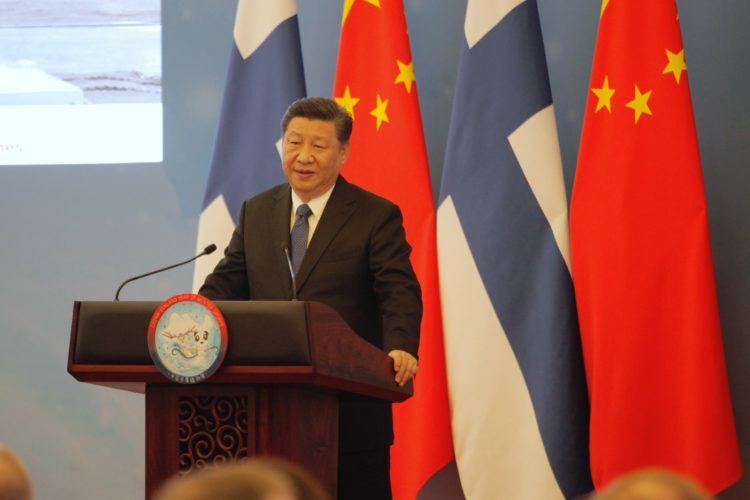 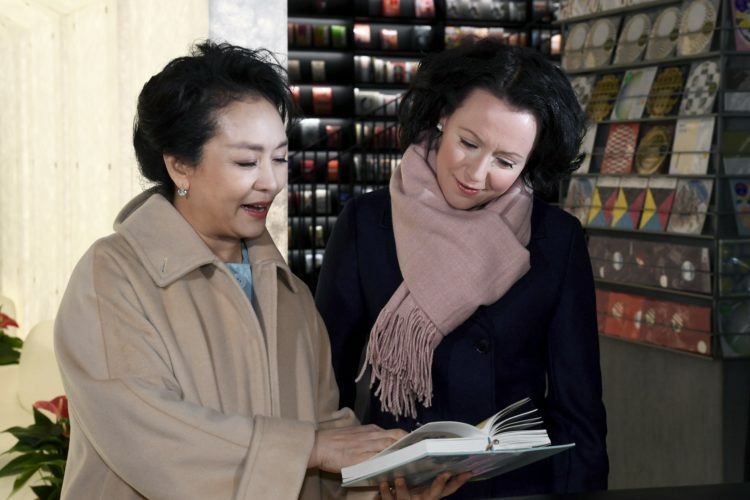 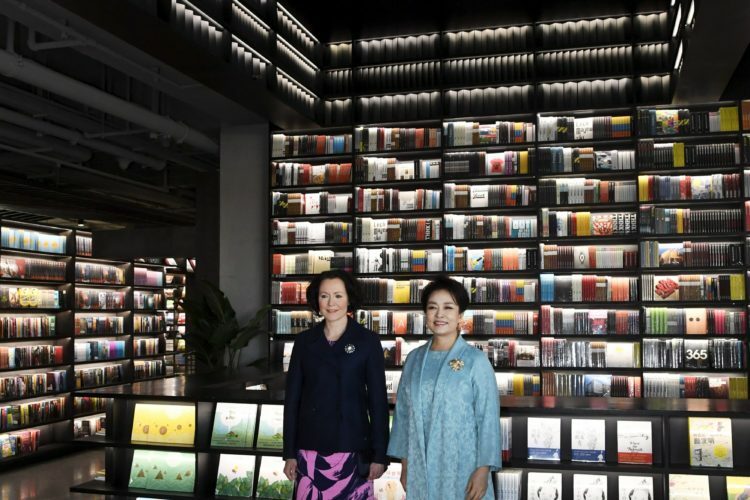 Most recently they met in April 2017 when President Xi and his spouse Peng Liyuan made a state visit to Finland. 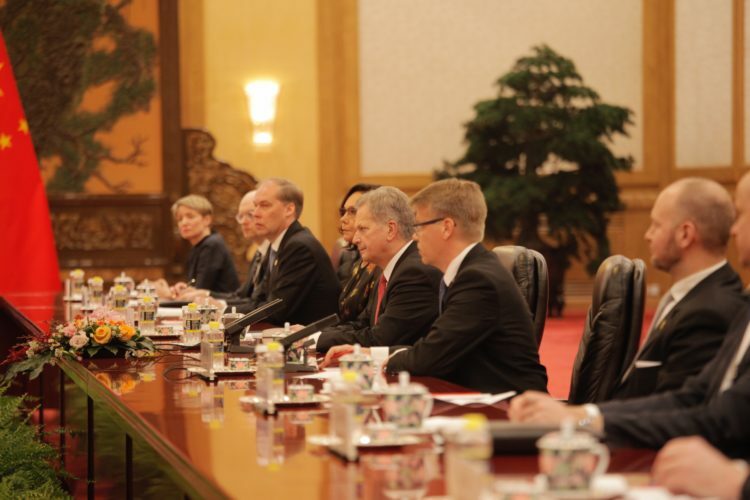 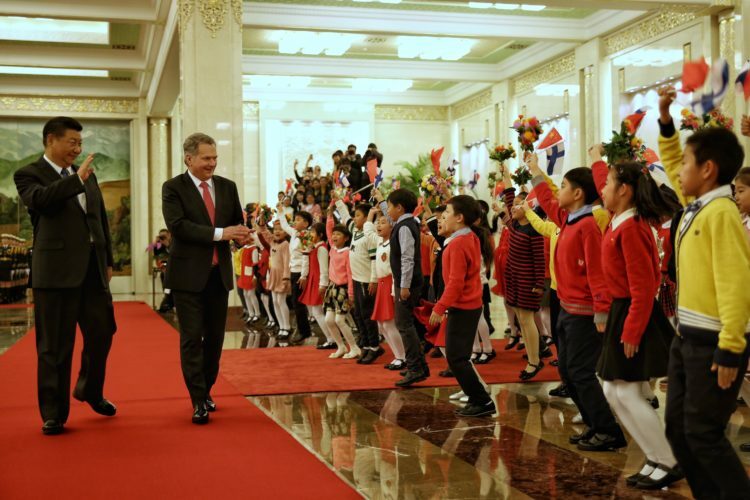 President Niinistö and Mrs Haukio made an official visit to China in 2013. 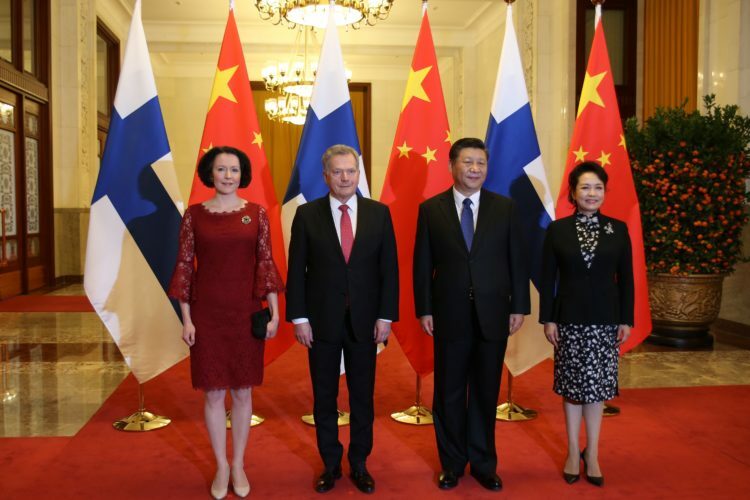 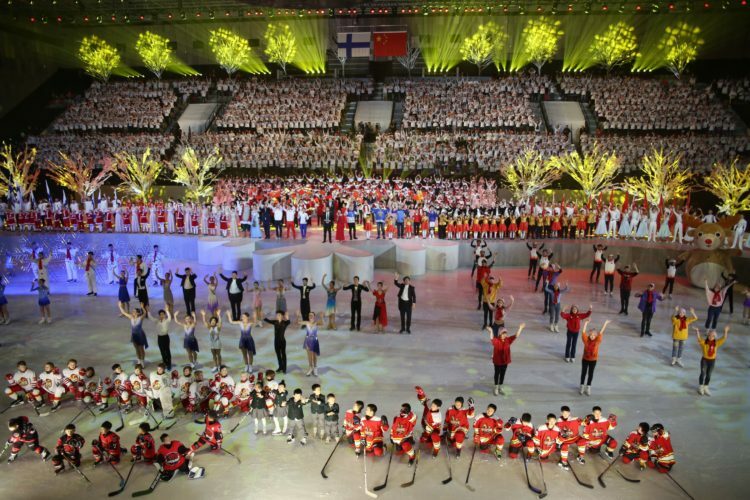 The previous state visit from Finland to China was made in 2002.